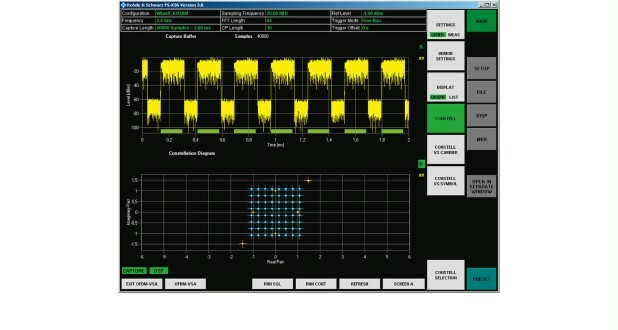 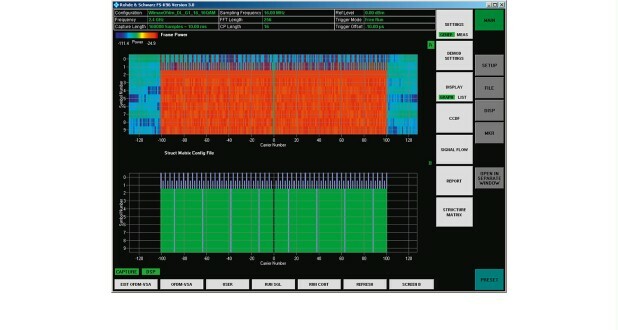 The R&S®FS-K96 OFDM analysis software extends the capability of the R&S®FSQ/FSG/FSV/FSVR/FSW signal and spectrum analyzers and the R&S®FSUP signal source analyzer to include modulation measurements on general OFDM signals. 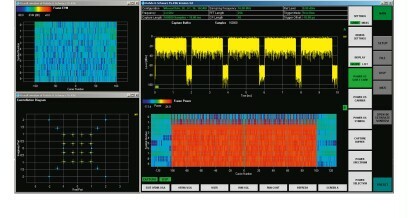 The OFDM demodulator is user-configurable and standard-independent. The R&S®FS-K96 OFDM analysis software offers maximum flexibility for adapting the analyzer to signal requirements. Thanks to this flexibility, users can define frequency, bandwidths, sample rate and guard interval length for the relevant OFDM signal. Many other parameters can be modified as needed, e.g. memory depth or trigger settings. 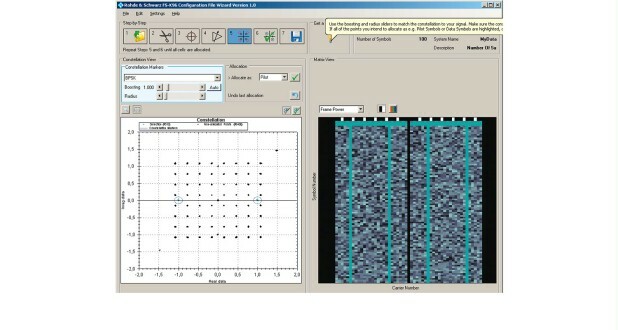 In addition to a numeric table that lists EVM results or the I/Q offset, the R&S®FS-K96 software provides numerous graphical results that make error analysis easy. 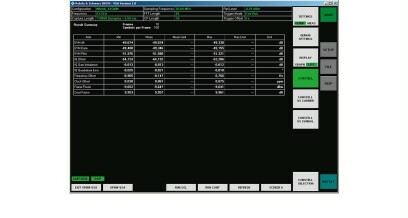 The general parameters can be entered directly in the R&S®FS-K96 application. 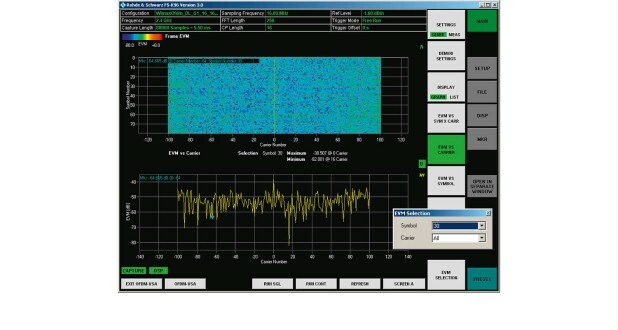 A configuration file is available for additional OFDM parameters. This file allows users to define the OFDM demodulator in detail.